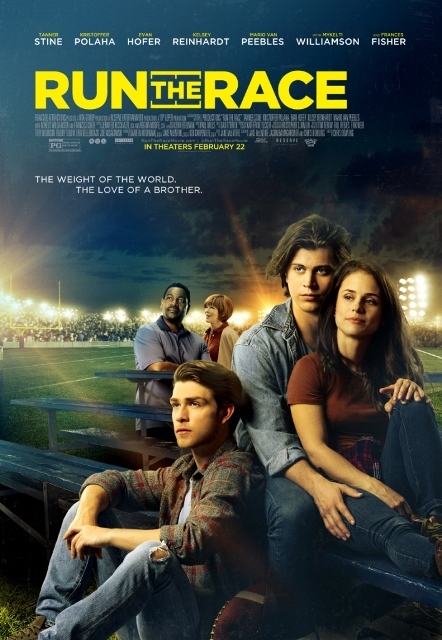 Run the Race uses sports and family to encourage young and old as they face life’s peaks and valleys. With football star Tim Tebow and his brother Robby among the executive producers, it’s not surprising that that there is plenty of football and track action. Two-time NCAA champion at the University of Florida, Heisman trophy winner in 2007, NFL quarterback, professional baseball player, and now sportscaster. Tim Tebow knows a lot about victory and defeat, dreams and disappointment, true significance, and what happens when you get knocked down. The actors in this film portray pain and recovery with authenticity. The cast includes Mykelti Williamson (Fences, Forrest Gump), Frances Fisher (Titanic, Unforgiven), Tanner Stine (NCIS, HBO’s Here & Now), Evan Hofer (Kickin’ It), Kristoffer Polaha, Mario Van Peebles, and Heisman-winner/NFL star Eddie George. Editors: Note pictures below. For access to these images and more, check here, here, here, here, here, and here. 2019 RTR Movie Holdings, LLC. All Rights Reserved. Zach Truett (Tanner Stine) calms his nerves before a game. 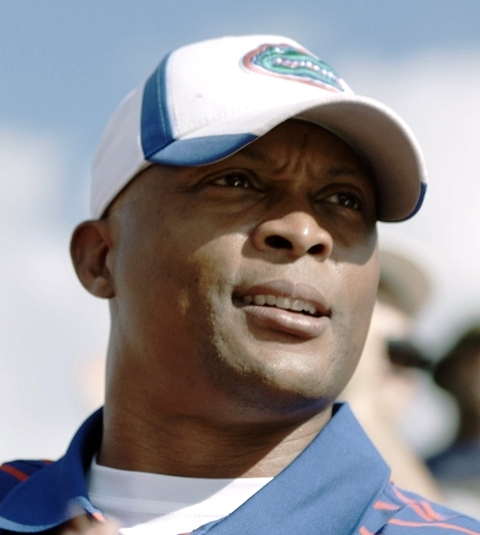 Eddie George plays a University of Florida football scout.